PRIME is a low-cost low-power geophysical ground monitoring system. It combines emerging Electrical Resistivity Tomography technology with remote data acquisition and web-based visualisation. This delivers a new generation of volumetric imaging technology capable of 'seeing inside' the ground to monitor changes in resistivity and infer ground water content. The development of PRIME was driven by the increasing rate and severity of infrastructure earthwork failures in the UK. This led geotechnical asset owners to recognise that remote monitoring technologies can reduce costs and risks by providing near-real-time internal condition information, early warnings of failure, and ground motion detection, suitable for use in a diverse range of industries. The technology can be retrofitted to existing structures and sites, or installed during construction of new assets. The system comprises simple to install, minimally invasive lines or grids of electrodes, cabled to the PRIME instrument from where the data is processed and transmitted for online data visualisation. 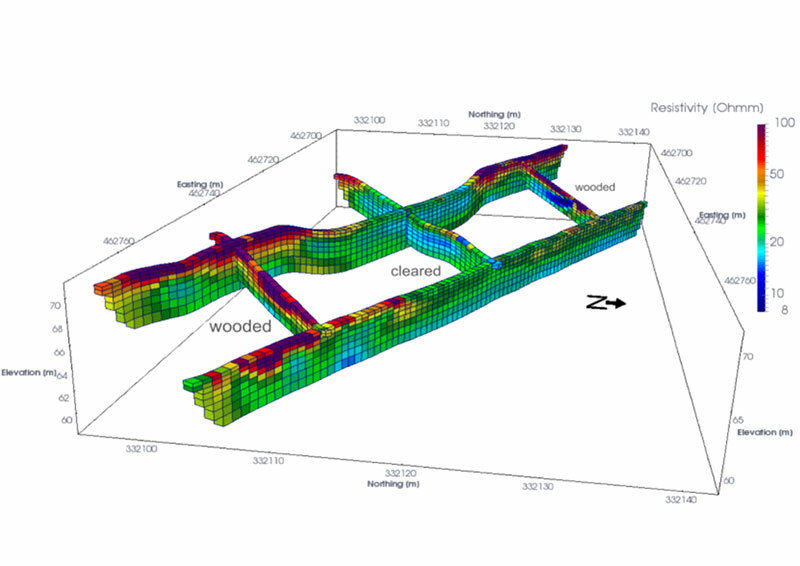 PRIME offers proactive management of earthwork assets by delivering 2D and 3D subsurface imaging, which provide superior spatial coverage to single-point borehole data. Furthermore it can be installed at a reduced cost and disruption to more intrusive ground water monitoring techniques. Although the focus of PRIME has been on applications in the infrastructure earthworks (transportation, flood defence, dams), it is equally applicable to monitoring subsurface changes in a range of other sectors, e.g. leakage in water utility pipelines, pollution monitoring in brownfield/contaminated land, earthing issues in power sub-stations. Brought to you by The British Geological Survey and ITM Monitoring, a SOCOTEC Company. As Group Technical Director, Philip Ball is focussed on continually developing industry leading technical solutions for SOCOTEC's clients. Predominantly managing the client technical engagement and development within Infrastructure & Energy Services, Philip has specific expertise in this area having joined SOCOTEC - formerly ESG - in October 2012 as Managing Director of the Geotechnical Services division. Philip graduated from Portsmouth University with a first degree in Engineering Geology & Geotechnics and has experience in managing major geotechnical projects in the UK and abroad. He is a Fellow of the Institution of Civil Engineers and also a RoGEP (Register of Geotechnical Engineering Professionals) Adviser. As well as this, Philip is a Fellow of the Chartered Management Institute and is a Chartered Manager. Philip is currently chair of the Finance & Strategy committee of the British Drilling Association. Jonathan leads the BGS Geophysical Tomography Team, which specialises in the development of new geophysical technologies and applications. His research has a strongly applied and industrial focus, and is concerned with geophysical, geotechnical and environmental survey and monitoring methodologies, and their application to engineering geology, groundwater, mining and slope stability problems. He has a long track record of leading geophysical R&D projects with a range of partners, including UK government and research councils, universities, and private sector organisations from the minerals, engineering and environmental sectors. He is a Natural Environmental Research Council (NERC) Knowledge Exchange Fellow for Infrastructure and an honorary professor at the University of Bristol. He is also a Chartered Geologist with a PhD in Applied Geophysics, an MSc in Industrial Mineral, and a BSc (Hons) in Geology. He has 20 years research experience in the area of engineering geophysics, with 60 peer-reviewed journal papers and more than 100 papers at international scientific and industry conferences.